There’s a perpetual battle between books and their cinematic adaptations. There have been collecting examples of such screenwriting, which everyone wants to watch more than once, and in any case, not complain about the better quality of the original. What’s the advantage of books? The avid reader will tell you how pleasant it’s when he can imagine the events and people; how to feel the crazy emotions and feelings, simply by putting words into sentences. An interesting fact is that the same words in the book, but very different images in the mind of each person. Fortunately, at present mankind has learned to revive the characters of books with the help of such a fantastic thing like cinematography. The plot: The most famous novel by American author Louise May Alcott talks about four different sisters of the March family. In America, there is a Civil War, and the March family has a hard time. Girls try to cope with difficulties together, pass through joys and sorrows together, dream about the future and comprehend the difficult science of growing up. This book was adapted into six movies, four TV shows, an opera and a musical. The favorite of most people is the 1994 version, directed by Gillian Armstrong. The plot: Nick Carraway moves from the Midwest to New York. After getting acquainted with the millionaire Jay Gatsby, Nick finds himself in the world of the rich and their illusions. A special place in the book is the romance between Nick and Jordan Baker. In the film, the relationship between the characters doesn’t go beyond flirting. The film took a step in the opposite direction, involving actors of different nationalities. Thus, the role of Meier Woolfshim, Jew by nationality, was played by Indian actor Amitabh Bachchan. The plot: Randle Patrick McMurphy, the impudent criminal, decides to feign insanity to avoid jail time. The hero is horrified that many patients have reconciled with their terrible fate, and some even came to the hospital consciously. In the film, there’s a spontaneous fishing trip, after McMurphy steals the sick man on the bus. In the book, this trip was agreed with the management of the clinic. After fishing, the main character of the book takes the patients to the home of their childhood. In the film, this scene is missing. The plot: It begins as a sad story about the life of an orphan girl, who finds herself in a strange family by chance, but later the story turns into a fascinating detective, where a whole company of children is already operating. However, the mysterious garden will be able to open its doors only to those, who are generous and kind. 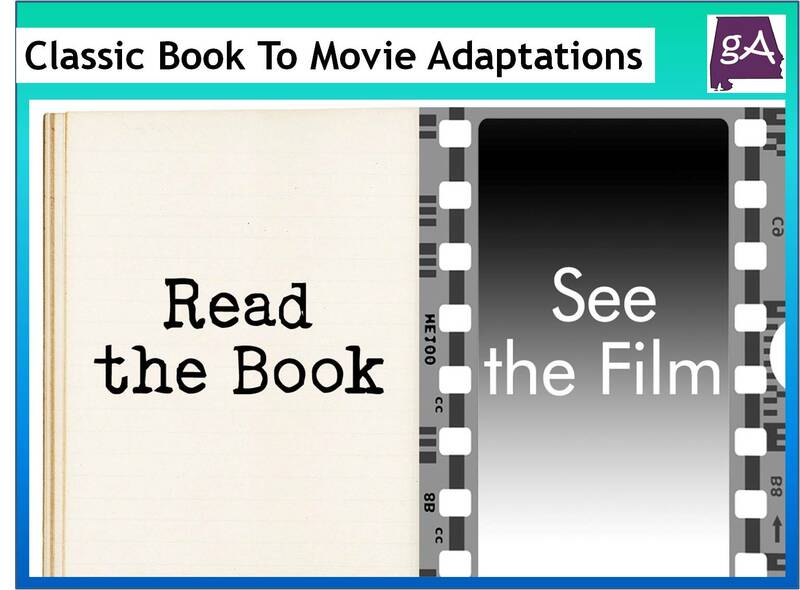 This book is very popular because it has been remade into ten movies and three musicals. The plot: The events depicted in the novel occur in 1757, during the Franco-Indian War, when France and Great Britain fought for control of North American colonies. During this war, the French called on the Allied Indian tribes to fight with British colonists. The protagonist of the novel, Unkas-Kuper, called in honor of the well-known leader of the tribe Mohegan, who was an ally of the British in the 17th century in Connecticut. There’re twenty films, serials and cartoons, created on the basis of this book. The plot: The film tells about a lawyer from Alabama, Atticus Finch, who brings up his two children without a mother. Atticus has to face the hostility and prejudice of the southern city, where racial prejudices largely determine the life of citizens. The novel was screened in 1962 by director Robert Mulligan. The film “To Kill a Mockingbird” with Gregory Peck in the title role was nominated for an Oscar in 8 categories and awarded three statuettes. The plot: Funny rabbit Peter is constantly looking for some adventure on his little tail. However, it can perfectly harm others. One day, Peter organized a grand party at the farmer’s house of Mr. McGregor, where there were plenty of animals. The man’s house completely plunged into chaos. It’s difficult even to find a place, where something remained the whole. The interesting version of this fairy tale was screened in 2018. The plot: This novel tells about a society in which literature is prohibited, and firemen should burn all forbidden books that they find, along with the dwellings of the owners. The owners of books are under arrest, one of them is even sent to a madhouse. The author depicted people who had lost touch with each other, with nature, with the intellectual heritage of mankind. The most popular movie adaptation of this book is 2018. The plot: The actions take place around 1790 in the Dutch settlement of Tarrytown, called Sleepy Hollow. One autumn night, Ichabod was returning from a party at Van Tassel and was pursued by a Headless Horseman. And although the question of the essence of the Horseman without a head remains open, it’s implied that he was a disguised Brom. There has been created a film, directed by Tim Burton on the basis of this book in 1999. There’re also many other adaptations of the work. The plot: It features an amazing and beautiful story of a magical land, in which love and kindness rule. Hiding from an air raid during the First World War in the house of an old professor, Peter, Susan, Lucy, and Edmond play hide and seek there. Hiding in an old wardrobe, Susan finds herself in Narnia, a magical land. The most popular movie adaptation of this book is 2005 one, directed by Andrew Adamson.